German based headphone manufacturer Sennheiser has launched a couple of new headphone series in India. Sennheiser HD 4 and HD 2 are the successors to the earlier popular PX 100, PX 200 and HD 200 series. Now, the company is aiming to target mid-range headphones market with the launch of these series. “We are very excited to unveil two new range of portable headphones which are a perfect combination of performance, comfort and dependable build quality. The new HD 2 and HD 4 headphones are everyday audio heroes that can considerably enhance your mobile listening experience,” says, Mr. Kapil Gulati, Director of Consumer Segment at Sennheiser India. Sennheiser HD 4 marks the expensive of the two and the range of headphones starts at Rs 3990. The HD 4.20S comes with round-ear design and has a folding headband. The headset can be used hands-free with one-button remote with microphone and is priced Rs 5,990. The HD 4.30 headset is also has a round-ear design headset and is available in two variants. One is built for Android devices, and the other has a remote which works with iOS devices. The HD 4.30 headphones are powered by 32mm dynamic drivers and are priced at Rs 7990. The other HD 2 range is launched with four variants within the range. The HD 2.30i and HD 2.30G comes with a price of Rs 6990 and has dedicated microphones and remotes suited for Android and iOS devices respectively. The 2.20S features a one-button remote and microphone and is a price at Rs 4990. The HD 2.10 does not have a remote and microphone and costs you Rs 3,990. All the HD 2 range headphones have a folding design and are on-ear headphones. 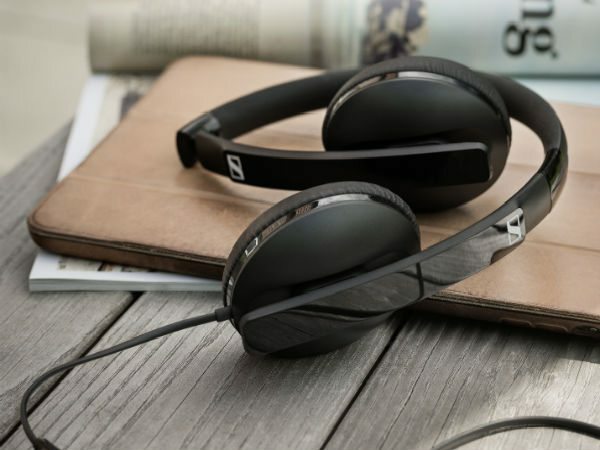 Earlier this year, Sennheiser had launched HD 200 PRO headphones in India for Rs 6,490. The HD 4 and HD 2 range headphones are more suitable for everyday usage and comfort, with a bass oriented sonic signature.